[Blind Gossip] The female star of this TV show publicly declared her full support for her male costar when he ran into a bit of trouble recently. That’s why it’s funny to hear about all the behind-the-scenes turmoil! You might recall that the last time a male costar exited, they dragged out the replacement search so that the queen could rule alone. This time it’s different. In fact, it’s exactly the opposite. If her male costar goes down, they want to replace him as quickly as possible! The suits are watching the guest bookings to see if there is continued push back on stars appearing on the show with [current Male Host]. They’ll know in a week or two if it’s a temporary thing or not. If they have to replace him, it’s a really short list this time. Just three men. They might say they are considering a male Person of Color and a woman to make themselves look more politically correct, but it’s really just these three. 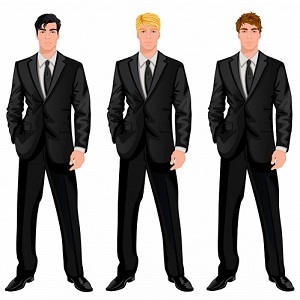 Top three replacement choices: male newsy guy, male reality guy, male actor recently-turned-talk-show-substitute. Female host is great friends with Newsy and Reality. We’re still hoping for Actor. [Optional] What do you want to see happen? I think when Ryan Secrest is out, they should hire Jerry O’Connell. He’s great! Newsy, Reality, Actor: Anderson Cooper, Andy Cohen, ??? for actor..Neil Patrick Harris? Newsy, Reality, Actor: Not sure… Two of them are Andy Cohen right and Jason Bateman I think. What do I want to see happen – If Ryan really did all the things he’s accused of, then Karma is a biotch. Obviously Kelly Ripa and Ryan Seacrest. I don’t know who the possible replacements are but I can’t wait to see what everyone guesses. [Optional] What do you want to see happen? I can’t stand Ryan and Jerry would be perfect and should I have been considered the last time. Bring on Jerry!! [Optional] What do you want to see happen? I would love to see Live with Kelly and Doogie. Neal Patrick Harris her good friend…He sucked when he did the Oscars…. Fire Kelly and bring back Regis and Kathy Lee…………………………..
Jerry should have been the original replacement! Would love to see Andy. Newsy, Reality, Actor: Anderson Cooper, Andy Cohen and Jerry O’Connell. It makes sense that the short list would be guys that the show wanted or was close to signing last go-round. I would like it to be Jerry O’Connell as well!! Do you seriously believe NPH would move his family from California permanently so he could sit next to Kelly Ripa every morning? I don’t think so…. Make this show go away, shut it down. I hope all of them turn this job down especially Jerry O’Connell. [Optional] What do you want to see happen? I love Andy! He will be a lot of fun! reality guy is Andy Cohen and no idea who the star is. I think it will stink with either Anderson or Andy though. They get boring pretty quickly. I really think Ryan is the best of all fits. [Optional] What do you want to see happen? I want to see Jerry O’Connell get the gig. He’s adorable. Oh, maybe Neil Patrick Harris? Love him, hope it’s him. Ryan grew on me, but please put Jerry O’Connell in the seat where he should’ve been long ago. Just spare us the drama and cancel this show already, please! Don’t really care any more. Actor: Maybe her husband, Mark? The actor who got the best ratings with her, however, was Jussie Smollett.